Profile of Officers, Members and Staff | . Ahmad (Adam) Tavakoly obtained his bachelor’s degree in electrical engineering from Florida International University. He is the president and CEO of CompuSource.Net, an information technology consulting firm, specializing in web design and hosting, as well as e-commerce solutions and telecommunication technologies. Tavakoly is a member of the Progress Club of Miami, Public Affairs Alliance of Iranian America (PAIAA) and the Iranian Professional Association. Barnaby Min is the former Zoning Administrator for the City of Miami, which oversees the City’s Zoning Department and reviews and approves all plans for development within the City. He was previously an attorney with the City of Miami’s Attorney’s Office. Min has also served as the Bar Counsel at The Florida Bar and as the Assistant State Attorney with the Miami-Dade State Attorney’s Office. He is currently an Arbitrator with the Office of the Attorney General and Volunteer Guardian Attorney for the Guardian Ad Litem Program. Min is the past President of the Asian Pacific American Bar Association of South Florida and a member of the National Asian Pacific American Bar Association. He is a Board member of the Florida Lawyers Assistance, Inc. and a previous Board member of the Dade County Bar Association. Min is a recipient of the “40 Under 40” Award by the Cystic Fibrosis Foundation for his leadership and involvement in the community and the “Legal Advocacy Award” from the Voices for Children Foundation, Inc., for his volunteer representation of abused, abandoned and neglected children involved in the legal system. Ulutas is a licensed professional engineer in the states of Florida and New York. He is currently the associate vice president of T.Y. Lin International Group, a global, multi-disciplinary engineering services firm recognized for excellence in signature bridges, aviation, architecture, roads, highways, fueling, environmental and other engineering planning and design. Ulutas is the past executive committee member of Crescent Chamber of Commerce. Ulutas is also the past vice chair of the Turkish Student Association at the University of Miami. Nick Vicera is a Filipino American. He obtained his master’s degree in econometrics from Yokohama National University in Japan on a scholarship grant from the Japanese government. Shortly afterwards, he worked for the International Atomic Energy Agency (IAEA) of the United Nations (UN) in Vienna, Austria as a nuclear material statistical analyst. He co-developed the computerized nuclear safeguards inspection procedure effectiveness evaluation system of the Agency that monitors the compliance of UN member countries’ nuclear plants according to the provisions of the Non-Nuclear Proliferation Treaty (NNPT) of the United Nations. He later worked for the Vienna-based Organization of Petroleum Exporting Countries (OPEC) as an oil energy analyst calculating oil production quota among OPEC member countries. Vicera emigrated to the U.S. in 1991 and now works for Miami-Dade County as a computer programmer. He developed the computerized real estate property re-valuation appeals process of the Value Adjustment Board of the county. He also helped develop the paperless traffic courts hearing system of the county, considered the first in the U.S.
Vicera is a recipient of the “Hometown Hero Award” from the United Way of Miami-Dade and Broward Counties, Miami Herald, and Burger King Corp. for his volunteer work in organizing sports tournaments for Asian American youth and parents in an effort to prevent drug abuse and smoking among youth. He is also a recipient of “Plaque of Recognition” from the Miami-Dade Police Department Police Citizen’s Academy for his volunteer work in improving police/community partnership. Kwok-Cheng (Manny) Wong is of Chinese descent and was born in Havana, Cuba. He came to the U.S. when he was eight years old. He graduated from Pace University in New York and worked briefly in the real estate market before starting his own company, the Fullei Fresh, of which he is now the CEO. Fullei Fresh grows hydroponic sprouts along with a wide range of sprouts, including organic sprouts. Wong was past vice president of the International Sprout Growers Association. Wong is very active in the local Miami community. He is a member of the Latin American Chamber of Commerce (CAMACOL), Friends of Miami Marine Stadium and Citizens on Patrol (COP) of the City of Miami Police Department. He serves in the board of directors of the World Kwong Tung Community Association and was the past chair of the Miami-Dade County Asian American Advisory Board. He is the past president of the Chinese-American Chamber of Commerce and past vice president of the Miami Overseas Chinese Association and Miami Dragon Boat Club. 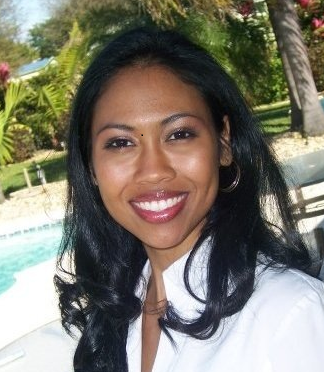 Melissa Fung Braynon is of Chinese-Jamaican decent and is a native of Miami-Dade County. She received her bachelor’s degree in psychology and sociology from the University of Florida and her master’s degree in mental health counseling from Northeastern University. Braynon is a licensed mental health counselor in the State of Florida and has dedicated her professional career to working with children as a child and family therapist and as a public school educator. Currently, Braynon works as a program supervisor at the Institute for Child and Family Health, one of Miami’s oldest and largest community health centers. She also serves on the Juvenile Justice Transition Board of the Eleventh Judicial Circuit. She is married to Florida State Senator Oscar James Braynon II of District 36. They have two sons Oscar James III and Brandon Glen. Nasser Effekhari is a medical doctor and obtained his degree in medicine from Tehran University. He specialized in physical medicine and rehabilitation and sub-specialized in electro-diagnostics. Effekhari is a diplomate of the American Board of Physical Medicine and Rehabilitation. Before he went into private practice, Effekhari served as the chief of the Department of Physical Medicine and Rehabilitation at the Veterans Administration Medical Center in Miami. He is currently an associate clinical professor of the Department of Rehabilitation Medicine at the University of Miami and a medical staff of Mercy Hospital, University of Miami Hospital and South Miami Hospital. 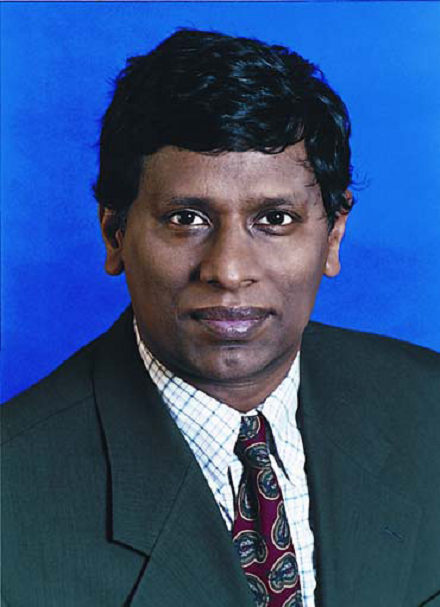 Effekhari has been a subject of biographical record in Marquis Who’s Who in America, 1998. He is a founding member and past president of the Iranian Cultural Society of South Florida. Tohfa Eminova is a theatre specialist and a musician. She obtained her master’s degree in music from the Azerbaijan State University of Culture and Arts. After graduation, she taught the history of theatre and ballet in Baku School of Choreography. In 1993, she worked at the Azerbaijani Parliament, first with the Research and Prognosis Centre and later with the Women and Development Centre. 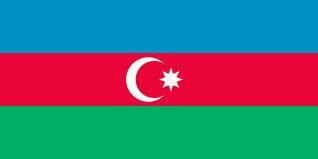 In 1995, she worked as a member of the Commission of Audit of the Trade Union of Cultural Workers of Azerbaijan. She immigrated to the U.S. in 2000 and earned her associate's degree in medical assisting at Keiser University. She now works as a plastic surgeon's assistant at Strax Rejuvenation while currently pursuing a degree in nursing at Keiser University. Eminova serves as the president of the Azerbaijani-American Cultural Association of South Florida. 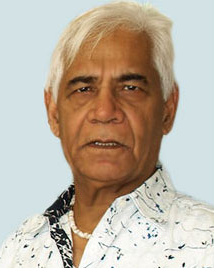 Sadrul H. Fasihi is a retired computer analyst. Since retirement, he has volunteered at the UHI Community Care Clinic and served as its past president. The UHI Clinic is a volunteer-driven, non-profit, non-government medical facility that provides free health care to the low-income uninsured residents of South Florida by means of office visits, lab work, x-rays and specialty referrals. Nazifa (Nazy) Given was born in Kabul, Afghanistan and emigrated with her family to the United States in 1968. She received her bachelor’s degree in architecture from the University of Tennessee and currently serves as a senior project designer and manager of PJB Architects, an architectural firm that produces projects ranging from custom residential to retail, commercial, educational and industrial. Given served as president of the JROTC Booster Club at MAST Academy during the time when her two daughters attended the school. She has also donated her time doing volunteer work for the Parent Teacher Student Association of MAST Academy and Fairchild Tropical Botanical Garden in their programs for autistic children and Alzheimer’s patients. She is a regular participant of the MCJJ’s Interfaith Clergy Dialog meetings representing her Muslim faith. Given is a lay member of the Ethics Committee of VITAS Innovative Hospice Care. Josephine Shih Gordy is of Hong Kong and Australian descent. She is a business entrepreneur and owns AlkaLife International that produces and markets natural alkaline water. The company was co-founded by her late husband, Sang Whang. Gordy is secretary of the board of the National Alliance to Nurture the Aged and the Youth (NANAY) and is also the secretary of the board of the Chinese American Benevolent Association. 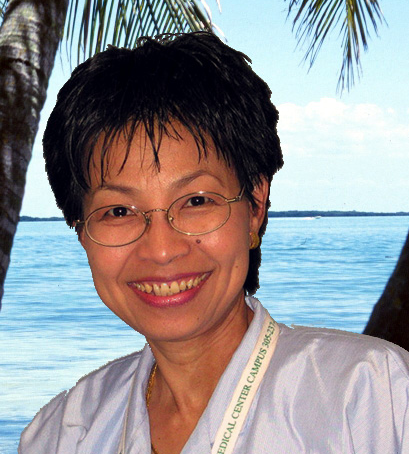 She is a board member of the Asian American Federation of Florida and Organization of Chinese Americans – South Florida Chapter. Joseph Johnson holds a doctorate degree in business and is an Associate Professor of marketing at the University of Miami. His research interests include: developing models for profitable customization of marketing promotions, measuring and managing of brand equity, new product valuation, financial implications of marketing strategy, measuring the effectiveness of social media, developing frameworks for successful entry into emerging markets and the dynamics of financial bubbles. His research has appeared in leading journals such as the Journal of Consumer Research, Marketing Science, Journal of Marketing, Journal of the Academy of Marketing Science, Journal of International Marketing and Journal of Optimization Theory and Applications. His paper on market entry strategies into India and China won the Paul Root Best Paper Award from the Journal of Marketing in 2008. His research on financial markets has been featured in Financial Times of India, MSNBC and Kiplinger’s Personal Finance. He has appeared on the TV news show Nightly Business Report to discuss consumer financial decision making. His teaching interests include Strategic Brand Management, New Product Introductions, Marketing Strategy and International Marketing. He is a member of the Mathematical Society of America and has been mentioned in Marquis Who’s Who in America, 2012. Johnson has worked and consulted extensively in India, Middle East and here in the U.S. in B-to-B and B-to-C contexts such as industrial pumps, steel, decorative and industrial paints, petroleum refining, banking, automobiles, pharmaceuticals, hospitality and branded gourmet coffee. Meital Stavinsky was born and raised in Israel. She obtained her law degree from Tel Aviv University. Stavinsky is a practicing attorney at Greenberg Traurig. She has been instrumental in developing the firm's Israel practice. Stavinsky's practice focuses on sustainability and government relations. She primarily advises Cleantech companies in the areas of renewable energy, alternative fuel transportation and infrastructure, energy efficiency, water and waste treatment, green materials and green buildings. She often serves as a speaker at conferences and seminars in the United States and Israel on Cleantech and Israel related matters. Stavinsky is a Leadership in Energy and Environmental Design accredited professional (LEED AP) of the U.S. Green Building Council (USGBC) that promotes rating systems of the design, construction and operation of high performance green buildings, homes and neighborhoods. 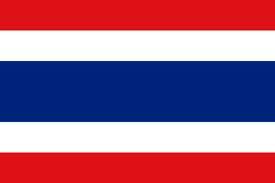 Prapapis “Patti” Pitayapisut obtained her bachelor’s degree in nursing from Mahidol University in Bangkok, Thailand and her master’s degree in nursing from Florida International University. She earned her doctorate degree in healthcare education from Nova Southeastern University (NSU) on a full scholarship from NSU and Florida Association of Community Colleges. She is a senior associate professor of the School of Nursing at Miami-Dade College (MDC) and co-chair of the Student Affairs Committee of MDC. She is an advanced registered nurse practitioner (ARNP). Adrianne Aiko Thompson is sansei (third-generation) Japanese-American. She obtained her master’s degree in teaching English to speakers of other languages (TESOL) from Columbia University, Teachers College and her bachelor’s degree in Spanish and global studies from the University of Iowa. After almost nine years of teaching English at various colleges and universities in Japan, Thompson returned to the U.S. with her husband, who is Cuban-American, and their daughter in 2001. She is currently a senior associate professor at Miami Dade College, where she has taught English for academic purposes since 2002. She was a recipient of the 2012 John & Suanne Roueche Excellence Awards, which celebrate outstanding contributions and leadership by community college faculty and staff. Thompson was a founding member of the Asian Pacific American heritage committee at Miami Dade College, which started to host events in 2004. Since then, she has helped organize events every year, supporting Asian cultural activities at various campuses. Thompson began studying Japanese tea ceremony at Florida International University in 2009, and she continues to study tea ceremony each week at her tea master’s home. She is an active member of the Chado Urasenke Tankokai South Florida Association and Japan Cultural Foundation of Miami. Xuejun (Jim) Yu received his bachelor’s degree in Chinese language and literature from Jiangxi University in China and pursued advanced studies at Fudan University in Shanghai. He received his master’s degree in communications from the University of Hawaii and was a Parvin Fellow of the East-West Center in Honolulu. He later earned his doctorate degree in international communications from the University of Florida. 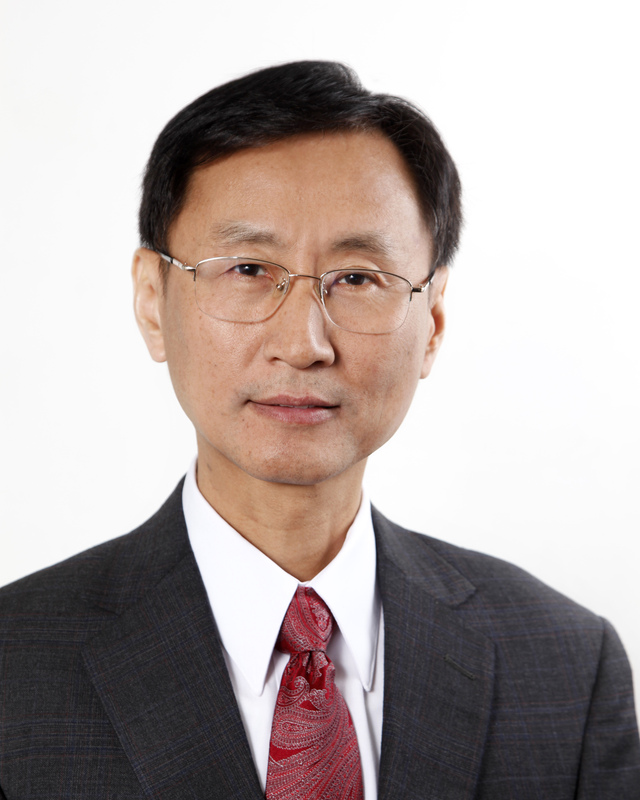 Yu is the director of the Confucius Institute of Miami Dade College. He previously taught Chinese language, culture, and communications at Jiangxi University (China), the University of Florida, Stetson University and the University of Central Florida. He was the co-founder of “China” Exploritas Program at Stetson University, one of the largest continuing education programs on China in the U.S.
Outside of academia, Yu worked for major U.S. corporations and universities organizing Asian community events throughout the U.S., particularly in the areas of Chinese cultural entertainment and international education. He served on the editorial board of the Chinese-language publication, U.S. Digest. As far as his community leadership and academic accomplishments, Yu received awards from the Association for Education in Journalism & Mass Communication, Broadcast Education Association, the University of Florida, the Orlando Chinese Professional Association, and the Chinese Language Teachers Association (Florida Chapter). He currently serves as chair of the Board of Directors of the Contemporary Chinese School of South Florida (Miami Campus) and as a member of the Board of Directors of the Chinese Culture Foundation (Miami).